Take one to two capsules a day, or as recommended by your health practitioner. Clinically proven to be effective against allergic reactions. adults. Take 6 vegetarian capsules a day for 2-10 days. Each capsule contains 300mg of Pantescal™. Each capsule contains 500 mg calcium D-glucarate. Dihydromyricetin 300 mg60 Veg. Caps. Dihydromyricetin 300 mgclose60 Veg. Caps. adults. Take 2 capsules a day. Each capsule contains 300 mg of Ampelopsis grossedentata extract standardised to 98% dihydromyricetin. Attention: Despite the efficacy of this product, it is important to remember that alcohol abuse damages your health. FlavoFight 250 mg60 Veg. Caps. FlavoFight 250 mgclose60 Veg. Caps. adults. Take two vegetarian capsules a day. Each capsule contains 250mg of MICROBIOMEX®. adults. Week one, take one vegetarian capsule in the morning on an empty stomach, and one more late morning or mid-afternoon. In subsequent weeks, increase to two capsules first thing, and two more late morning or mid-afternoon. Do not take after 5.00pm. Warning: Avoid (or at least reduce the recommended dose) if you are hypersensitive to caffeine or methylxanthins. Apply twice daily ¼ to ½ teaspoon on neck, chest, behind the knees or the underside of arms or thighs. Avoid the mucous membranes. Change site of application each time. 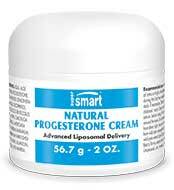 Pre-menopausal women can use the cream daily during the last two weeks of her cycle. Post-menopausal women can alternate two weeks of use and two weeks of abstention. The best results are observed after regular use. First-generation tool of anti-ageing gene therapy. Notoginseng 200 mg60 Veg. Caps. Notoginseng 200 mgclose60 Veg. Caps. Each capsule contains 200 mg of Panax notoginseng extract. Improves digestion and absorption of nutrients, and much more besides. SesaPlex™ 100 mg60 Veg. Caps. SesaPlex™ 100 mgclose60 Veg. Caps. Wild Maqui Berry 333 mg90 Veg. Caps. Wild Maqui Berry 333 mgclose90 Veg. Caps. Adults. Take 3 capsules a day. Each capsule contains 333mg of Maqui Superberry™. adults. Take two scoops a day, dissolving the contents in a glass of water. 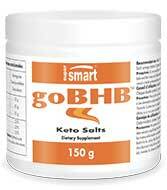 Each scoop contains 5 grams of goBHB™ (magnesium beta-hydroxybutyrate). 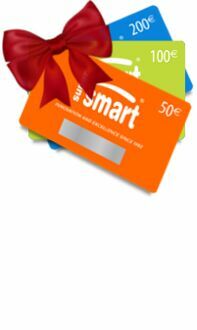 Put a smile on the face of your loved ones by buying them this gift voucher.